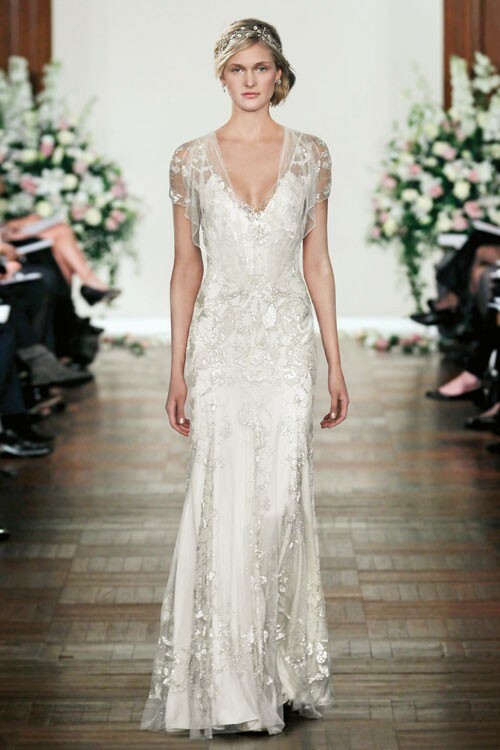 The stunning Azalea dress by Jenny Packham - fairytale meets Gatsby, this loose, flowing dress with gorgeous beadwork is absolutely dreamy. I got married in it July this year and couldn't have wished for a better dress, particularly as it was a hot day and I ate a lot (and the dress is lose around the waist so doesn't show at all). As I changed for the evening into a different dress it is still in a good condition with just a little bit of the train that needs cleaning (can recommend an awesome dry cleaner so specialises in wedding dresses). None of the beads are visibly missing, but I have a spare bag of beads to go with it just in case. Also have matching shoes (size 40) and headband (as on the photos) if you're interested. If this is your dream dress but you have a different budget in mind, drop me a line and we can discuss.